Expecting their best years ever, CruiseOne and Cruises Inc. are taking steps to improve their technology and attract more agents into their franchise and independent contractor operations. In the past year, CruiseOne/Cruises Inc. have attracted more than 300 new franchisees and independent contractors, Dwain Wall, senior vice president and general manager said at a press conference at CLIA’s cruise3sixty conference in Fort Lauderdale. “2011 is going to catapult us far beyond our wildest expectations,” Wall said. To attract new agents, the company is offering free berths at the national conference and three-night cruises on Norwegian Sky in limited-time offers. “We’re focusing on bringing new talent in from outside the industry -- not only new but younger,” Wall said. The company redesigned the consumer-facing websites, adding a landing page focused on river cruises and another on close-to-home cruising from various ports throughout the country, said Luis Zuniga, vice president of marketing and communications for the companies. Sailing from drive-to ports is a “gateway product,” Wall said, that attracts first-timers unwilling to invest in air fare to a faraway port. 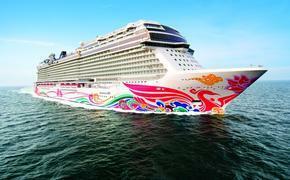 The companies’ annual conference is scheduled for Oct. 9 to 16 on Royal Caribbean International’s Allure of the Seas. Keynote speaker will be Gregg Lederman, CEO of a company called Brand Integrity. For more information, visit www.cruiseone.com or www.cruisesinc.com.